When the Microwave Humidity Sounder (MWHS) on board FY-3 (A/B) was designed in the Key Laboratory of Microwave and Remote Sensing at the National Space Science Center (NSSC), the research group perhaps hadn’t envisioned that before long, it will be optimized and replaced by its better version, the Advance Microwave Atmospheric Sounder (AMAS). AMAS, on board FY-3C and FY-3D satellite, developed by the same group of people, follows the heritage and strong points of MWHS in many ways, yet it improves its channel characteristics by adding 8 horizontal polarized channels near 118.75 GHz. It is the first operational polar orbiting satellite-based sensor to observe atmosphere in earth-scanning mode in the 118 GHz oxygen band. Also, AMAS has more channels at 183 GHz than MWHS. Recently, the research group released a series of results based on AMAS channel specifications and T/V calibration results on FY-3C satellite. Channel capability and radiometric characteristics of AMAS at 118.75 GHz were thoroughly analyzed. System nonlinear error correction and bias correction of warm and cold target are derived after the T/V data analysis. It will be used for calibration processing, and will play an important role in level 1 and 2 data-processing. Results shows that through the T/V calibration test, system response characteristics of AMAS between observation targets and signal outputs in T/V chamber condition are determined. 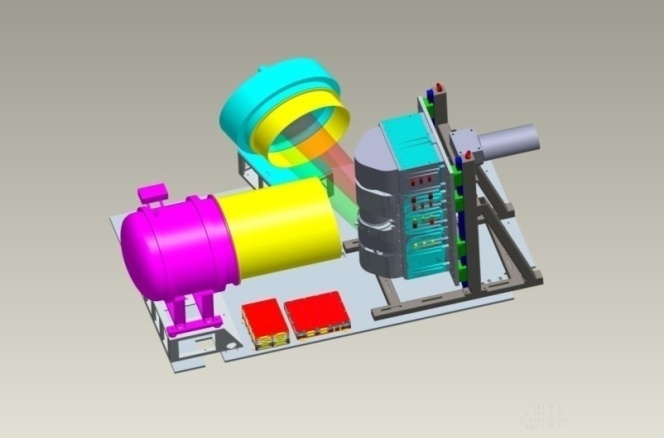 The research group can therefore derive the linearity, sensitivity and calibration accuracy by calculating the system measurement bias, nonlinearity error, residual error and so on. Now, the calibration parameters have been used in in-orbit data processing. The research result entitledAdvanced Microwave Atmospheric Sounder (AMAS) Channel Specifications and T/V Calibration Results on FY-3C Satellite was published on IEEE Transactions on Geoscience and Remote Sensing, VOL. 53, January, 2015. “The research laid foundation for in-orbit operation and data application of AMAS. Furthermore, it will play an important role in the design and development of payloads on board future meteorological satellites.” said Dr. HE Jieying, lead author of the paper.